For the past two years, Bloodrush has been a consistent part of the Bulgarian underground metal scene. The musicians themselves come from the small town of Dobrich, situated in eastern Bulgaria, but the band often holds concerts throughout the whole country. It doesn’t matter where the trio performs: whether the skate park at their hometown; a live music bar in the coastal city of Varna; or the big scene of an annual contest at the capital of Sofia, Bloodrush always delivers an outstanding performance. The musicians themselves see the band’s genre as either stoner or groove, but in my opinion it’s a mix of alternative metal and stoner. Regardless, it gets you going, pumped on adrenaline from the first song in the set to the last. 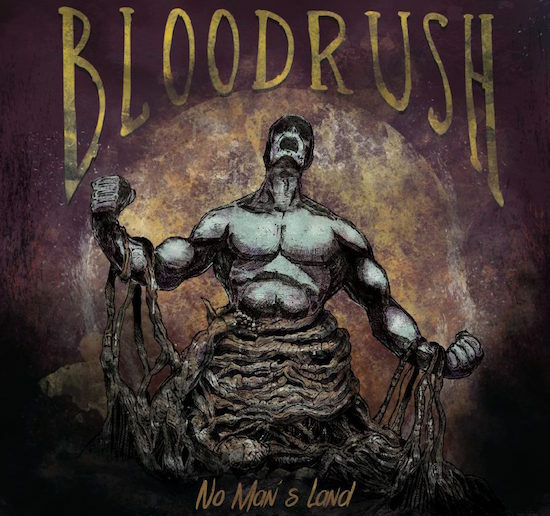 Bloodrush’s debut – and so far only – album, No Man’s Land came out in 2015 and is available to listen for free on the band’s Youtube page. 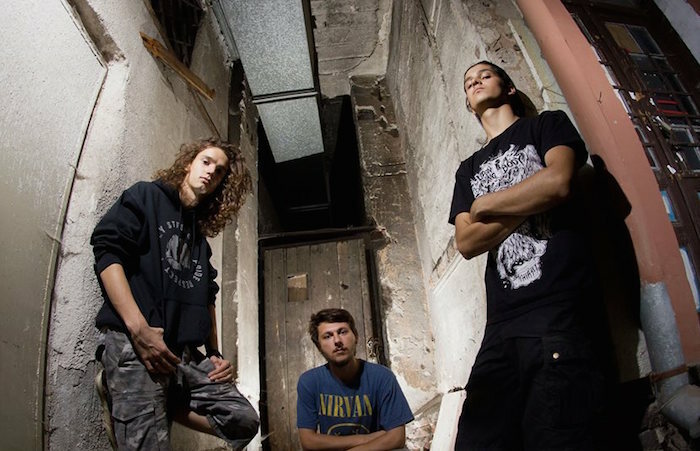 The trio recorded and had the tracks mixed and mastered at the personal studio of Odd Crew – Bulgaria’s most famous professional metal band – which is the best quality assurance you can get in such a small country. Prior to the release of No Man’s Land, Bloodrush didn’t release any conventional single. Instead, they released their preferred songs after the album as ‘official video’ types. Their first and foremost choice lay with ‘Your Worst Enemy’ and is more than apt. 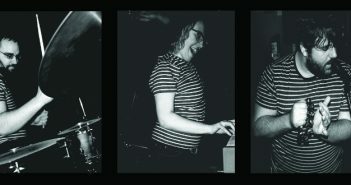 The drums get you going from the beginning and the brilliant guitar writing keeps you at it even after the song’s over. The socially themed lyrics of this specific song are aimed at over-consumption and the way our society functions – especially the richer part of it. In fact, most of the songs on No Man’s Land are aimed at the teenage audience and touch upon modern society in one way or the other. Coming of age is another reoccurring theme, most strongly prominent in the bridge part of Symph. That particular track even features a choir element, something you wouldn’t hear in any other song by this band. But No Man’s Land has its lighter side as well. It’s represented by, strangely enough, the song called ‘Dark N Shady’. The lyrics of the song are way darker than Bloodrush’s usual young-adult themes, but the song’s got a catchy, even happy melody which clashes with everything else on the album. An honourable mention goes to ‘Not a Fiction Anymore’, which although not on the album (it was their first song after releasing it) is an extremely powerful track which is good evidence that the band is hasn’t got complacent. The thematic of the lyrics has shifted along with the overall structure of arrangement in favour of a more contemporary sound. Speaking with Broken Amp, frontman Kosta Kolarov shared that he and two others boys originally formed the band back in 2013. Back then, they called themselves Negative Vibrations and performed mainly covers with very few original pieces. After they had to part ways with their vocalist (Kolarov had been only the guitar player up to that point) they changed their name and shifted their focus to creating original music in the metal genre. Bloodrush are an amazing three-piece metal band. They mix a single guitar, bass and drums into a driving metal powerhouse and combine it with both clean and screaming vocals. They’ve played at Bulgaria’s most famous underground metal scenes and in contrast, made appearances with the country’s most popular and classic band B.T.R. Adding to their diverse experience, Bloodrush partook in Bulgaria’s most popular High School musicians competition and won the award for Best Original Song. The future is looking bright for this young band, and we look forward to seeing them lead the charge of new and promising bands from this country. Thanks to Kosta Kolarov for his time. You can check out Bloodrush on Facebook and find their videos on their YouTube. All the amazing visual elements on Bloodrush’s CDs and merchandise are created by Kiril Sapundziev. You can watch the artist at work in this short subtitled video where he showcases his creative work process.